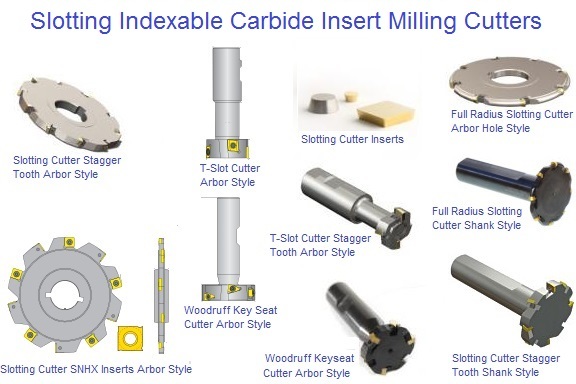 Indexable End Mills and Milling Cutters for a large range of standard and special applications. 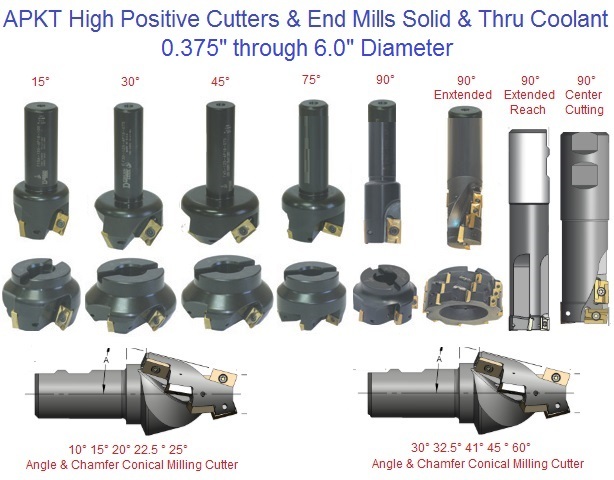 An extensive selection of APKT High Positive End Mills and Milling Cutters. 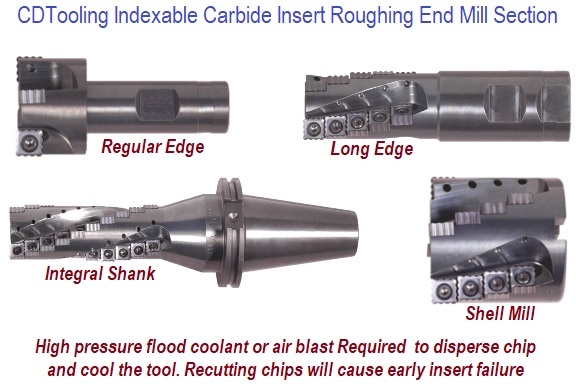 15 Degree, 30 Degree, 45 Degree and 90 Degree with and with out thru Coolant. 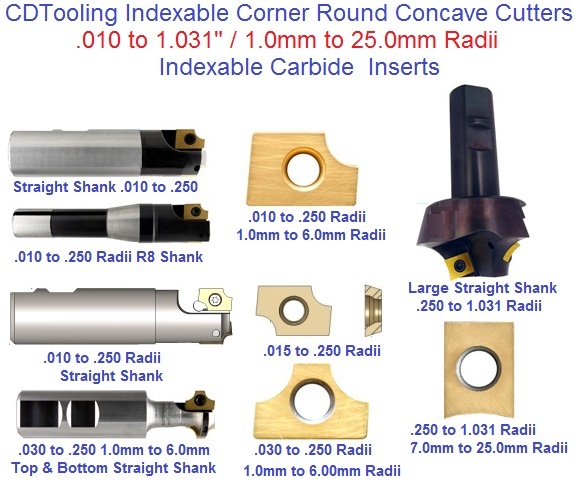 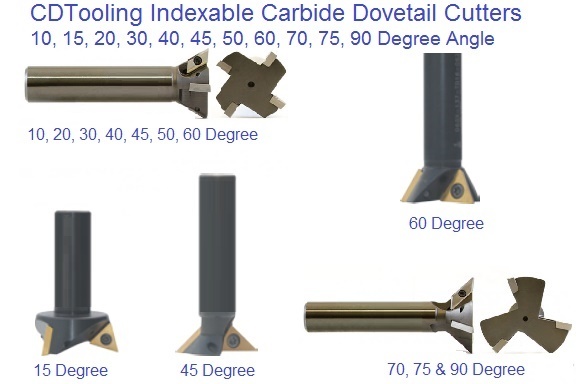 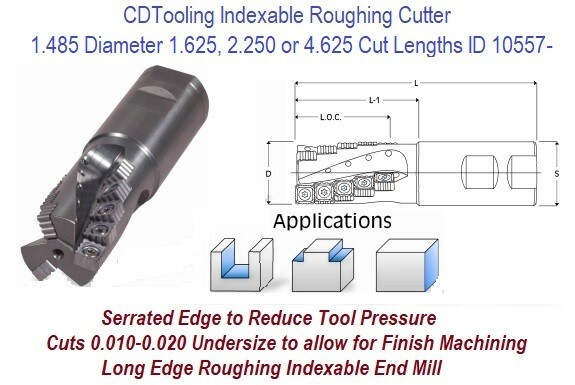 Indexable Carbide Insert Slot Milling Cutters Arbor Style, Full Radius Arbor Hole, Full Radius, Shank Style, Stagger Tooth, Narrow Slot, T-Slot, Woodruff Keyseat. 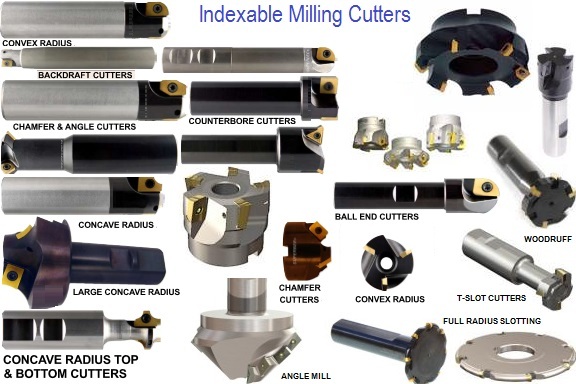 These milling cutter offer a high rate of material removal.